Tokyo, Japan's capital, is a buzzing metropolis. It is a mecca to technology, a worldwide financial centre, boasts many of the world's best restaurants, and is also home to a host of great tourist attractions. The Meiji Shrine, built in 1920, is dedicated to the souls of Emperor Meiji (1852-1912) and Empress Shoken (1849-1914). The Shrine is built according to the traditions of the Shinto religion (Japan's original religion, followed by 120 million people today). 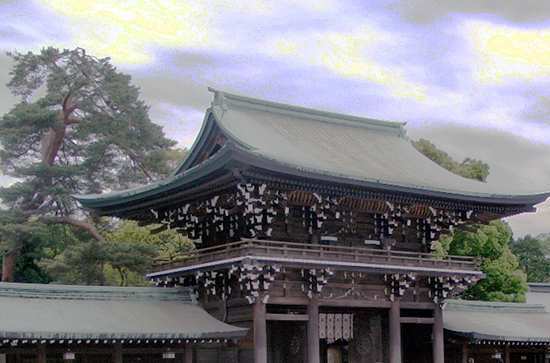 It is built predominantly of Japanese Cypress, with copper plates used for the roofs. Visitors are expected to follow Shinto traditions, and are encouraged to write Ema (wishes written on wooden tablets) or Kiganbun (letters to the deities). The Shrine is located in a 175-acre forest , containing 120,000 trees from over 365 species; the trees themselves were donated by citizens of Japan after the Emperor's death. The Shrine's inner precinct also houses a treasure museum, displaying artifacts belonging to the Emperor and his consort. The outer precinct houses a collection of 80 murals, depicting events from the Emperor's life; a national sports stadium; and the Meiji Memorial Hall , frequently used for Shinto wedding ceremonies. where? 1-1, Kamizono-cho, Yoyogi, Shibuya-ku, Tokyo 151-0053. Tel. +81 (03) 3379-5511. The complex is a short walk from the Sangubashi, Yoyogi, Kitasando, Harajuku and Meiji Jingu Mae stations. when? Opening hours vary depending on the season, ranging from 6.40am to 4pm in December to 5am to 6.30pm in June. The Imperial Palace and Gardens are the main residence of the Emperor of Japan. They are located in the Chiyoda area of Tokyo, and occupy an area of 7.41 square kilometres which is surrounded by moats and large stone walls. The former Imperial Palace was largely destroyed in a May 1945 allied bombing raid; three months later, Emperor Hirohito announced Japan's surrender from a basement in the palace complex. Reconstruction of the Palace, in a modernist style, was completed in 1968; the new structure has seven principal wings, including the Seiden state function hall, the Rensui dining room and the Emperor's work office. 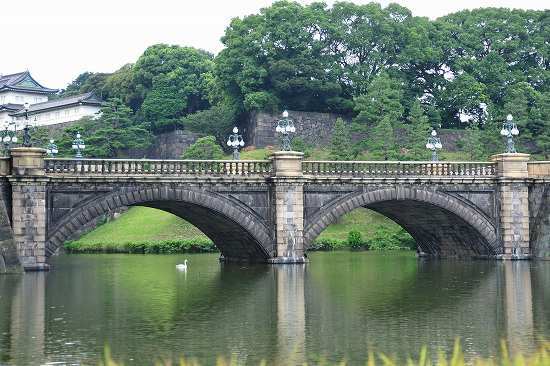 The Palace continues to be accessed by the famous Nijubashi Bridge (Double Bridge, pictured). Tourists are able to visit large parts of the inner palace by booking a tour through the Imperial Household Agency's website (though numbers are very limited so advance booking is necessary). The Palace's East Gardens are accessible without prior booking. They contain a series of winding pathways, lakes, lawns, trees, pavilions and ruins of historic buildings. Particularly impressive in spring and autumn, the Gardens provide an oasis of calm in the centre of a busy city. where? The Imperial Palace is a 10 minute walk from Tokyo station. Its address is 1-1 Chiyoda Chiyoda, Tokyo Prefecture 100-0001, Japan. when? The East Gardens are open 9am to 4pm, five days a week (not Mon or Fri). They are closed 28 Dec to 3 Jan.
£$€¥ Access to the Palace (if you are lucky enough to get tickets) and East Gardens is free. 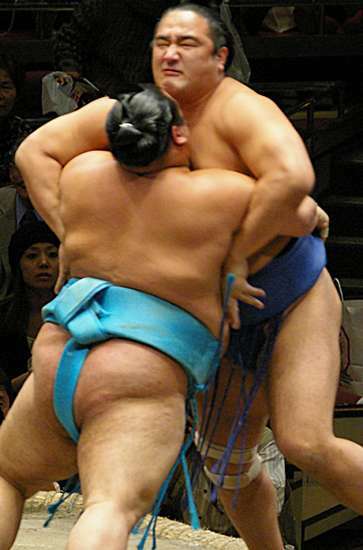 Sumo wrestling originated in Japan, and remains one of the country's most popular sports. The object is to force your opponent from an inner ring or to touch the ground with something other than the soles of his feet. Formerly used in the Shinto religion , many traditional practices are maintained today: wrestlers perform a pre-bout ceremony which involves hand-clapping, feet-stomping, and tossing of purifying salt into the ring. Most wrestlers live in communal Heya (sumo training stables), where they observe a strict hierarchy and training schedule. There are currently 54 stables housing about 700 wrestlers. They compete in six annual Grand Sumo tournaments, three of which are held in Tokyo's Sumo Hall in January, May and September. The tournaments run for 15 days, and see multiple bouts each day. The bouts can last from just a few seconds to several minutes. Matches are scheduled according to the rankings with the wrestlers from the top division competing late each day. The Yokozuna (grand champion) will be one of the last to compete. If he is defeated, the audience usually throw their seat cushions into the ring! where? The Sumo Hall is in Ryogoku, next to the Ryogoku station (Sobu line). when? Details of the three tournaments held in Tokyo are found on the Official Grand Sumo website . If you are not in town during these periods, consider a trip to one of the Sumo stables to observe morning practice (which should be booked in advance). £$€¥ Tickets for the tournaments start at $20 for adults. The National Gallery of Western Art was established in 1959 to display the collection bequeathed to the nation by Matsukata Kojiro (1865 - 1950). Housed in an award-winning multi-storey reinforced concrete building designed by Le Corbusier , the collection has been supplemented over the years. 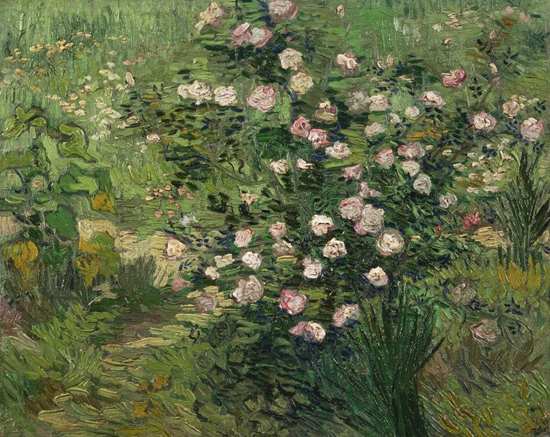 It now includes over 4,500 works dating from the Renaissance to the early 20th century. 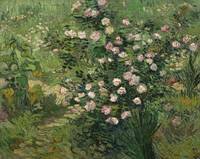 The Gallery's highlights include van Cleve's The Crucifixion , Rubens' Two Sleeping Children , Vernet's Summer Evening , Manet's Portrait of Monsieur Brun , Pissarro's Conversation , Monet's On the Boat and Water Lilies , Gauguin's Landscape of Brittany , Cezanne's The Bare Trees at Jas de Bouffan , van Gogh's Roses (pictured), Pollock's ' Number 8, 1951, Black Flowing ', and a large bronze of Rodin's The Thinker . Visitors will also enjoy the bright and airy Cafe Suiren , offering refreshments and a full selection of main meals. where? 7-7 Ueno-koen, Taito-ku, Tokyo 110-0007, Japan. Ueno and Keisei Ueno are the closest stations. when? 9.30 am to 5pm, seven days a week. Late opening on Fridays until 8pm. Closed 28 Dec to 1 Jan.
£$€¥ Adults: ¥430; Students: ¥130; Children/Seniors: Free. Established in 1935, the Tsukiji Fish Market is the biggest wholesale fish and seafood market in the world. It covers an area of over 230,000 square metres, has 60,000 employees, handles over 400 types of seafood ranging from seaweed to caviar, and sees hundreds of thousands of tonnes of fish worth billions of dollars pass through it each year. It is divided into an inner market, for the wholesale of fish, and an outer market, for the sale of fish, fruit and vegetables and flowers to the public. Visitors can experience the Market in a number of ways. Those who can bear the early start can try to get one of the 120 tickets issued each day to watch the tuna auction . The first auction of 2013 saw a 222 kilogram (489 pound) bluefin tuna sell for a record-breaking 155 million yen ($1.7 million). 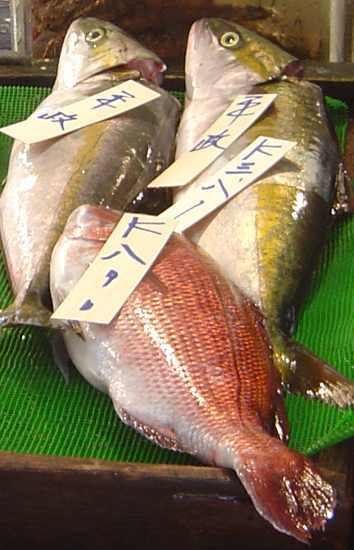 The successful bidder, the owner of the Sushi Zanmai chain, promptly carted the fish off to his nearest restaurant. Those that want to soak up the frenetic activity of the wholesale market —complete with shouting, smells and fast-moving forklift trucks—can do so after 9 am. And others can take in the outer retail market , and have some of the freshest sushi available in Tokyo for breakfast or lunch. where? 5-2-1 Tsukiji, Chuo-ku, Tokyo. Tel. +81-3-3542-1111. Registration for visits to the auction area takes place from 5am on the 1st floor of the Fish Information Centre by the Kachidoki Bridge entrance. when? From 5am (for visits to the auction area until 2pm), six days a week. Closed Sundays (and some Wednesdays--check website for details). 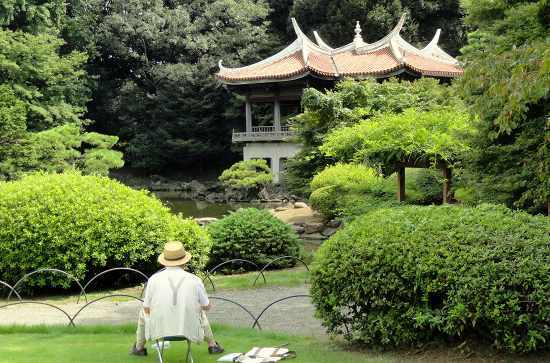 Constructed in 1906 in the grounds of a mansion formerly belonging to Lord Naito, a feudal lord of the Edo era, the Shinjuku Gyoen National Garden is widely regarded as the most beautiful outdoor public space in Tokyo. The Garden covers an area of 144 acres and has a circumference of 3.5 kilometres. It blends three distinct styles: a French formal garden; an English landscape garden; and a Japanese traditional garden. The Garden's highlights include its glasshouses (which are currently undergoing reconstruction), its Chrysanthemum Exhibition (1 to 15 Nov), its numerous ponds and pavilions, the 'Mother & Child Forest', and its cherry orchard (which blossoms between about late March and late April). where? Shinjuku Gyoen National Garden, Naito-cho, 11 Shinjuku, Tokyo, Japan. Tel. 03 350 0151.
when? 9am to 4.30pm, six days a week. Closed Mondays. £$€¥ Adults: ¥200; Students/Children: ¥60; Children under 6: Free. Founded by Ishibashi Shojiro, the Chairman of the Bridgestone Tyre Company, in 1952, the Bridgestone Museum displays paintings and sculpture from western and Japanese art. The small and tranquil Museum is housed on the second floor of the Bridgestone Corporation 's headquarters, and displays around 90 works in its ten galleries. The Museum's permanent collection spans Japanese art from the Meiji period onwards, together with impressionist, post-impressionist and modern art. 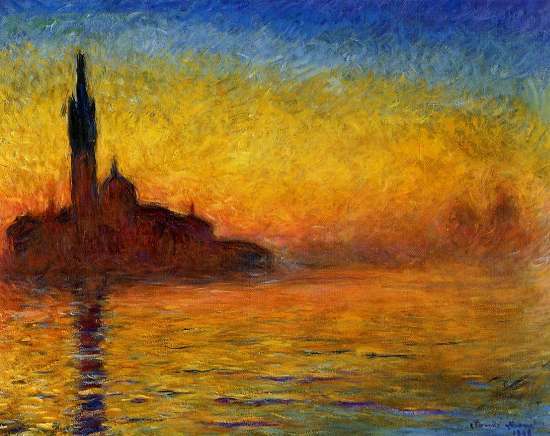 Its highlights include Monet's Twilight (pictured), Belle-Ile , Water Lily Pond and Flood at Argenteuil , van Gogh's Windmils on Montmatre , Picasso's Landscape with Dead and Live Trees , Cezanne's Self-Portrait with a Hat , Pissarro's Vegetable Garden , Renoir's Seated Bather and Rodin's The Thinker . The museum has a bright tearoom, well-stocked shop and high quality temporary exhibition programme. where? 1-10-1 Kyobashi, Chuo-ku, Tokyo 104-0031 Japan. Closest subway stations: Kyobashi (Ginza line) and Nihombashi (Ginza and Tozai lines). when? 10 am to 6 pm, six days a week. Closed Mondays. Late opening on Friday until 10 pm. £$€¥ Adults: ¥800; Seniors: ¥600; Children under 15: Free.